Our mission at Pikeside is to make disciples for Jesus Christ. We call on others to prayerfully receive Him as Lord and Savior, reflect His likeness and His love, and respond to the spiritual and physical needs of others. Pastor Bill joined Pikeside United Methodist Church as Senior Pastor in February 2017. Prior to his service at Pikeside, he served as Asbury UMC's Associate Pastor in Charles Town WV. Called to be an engaging, vital member of the Pikeside community, Pastor Bill believes that the church is the heart of serving those in need through missions and ministry. Proudly serving as a Chaplain at Jefferson Medical Center in Ranson, WV since 2011, Pastor Bill has received extensive training in pastoral hospital care, end of life & grief counseling and hospice care. Pastor Bill enjoys sharing the Love of Christ through worship, study and service. As a graduate of West Coast Bible College, Pastor Bill serves as a Licensed Local Pastor in the Baltimore-Washington Conference of the United Methodist Church and is currently enrolled in the UMC COS Seminary Program. He lives in Charles Town, WV with his wife Dawn and their daughter Mary. 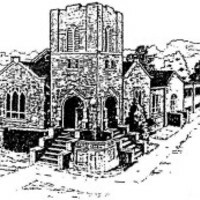 Pikeside United Methodist Church is a truly warm and welcoming community of people. Our worship services are relaxed, and so is the dress. We welcome people to come as they are--the way God welcomes us all in Christ. Every Sunday, 9:20 - 10:20 a.m.
(at all) will meet at the church. Adult groups may meet at the leaders' discretion. If you do not hear about what your group plans to do, please contact your group leader directly. Your pastor and worship leaders will strive to have at least the 10:35 a.m. Sunday worship service, despite weather or power outages. However, your personal safety is very important to us. The pastor and group leaders will understand completely if you do not feel comfortable coming to church when weather conditions are questionable. 2019 PUMC Sports Camp July 29 - Aug 2 9 a.m. - 2 p.m. Registration begins on May 1 - Cost is $50 per child - Participants limited to 24 kids. Register Early! A smaller, more intimate meeting to discuss the scripture. Good solid study led by experienced and knowledgeable teachers. This group exists to declare the centrality of Christ in every man’s life. Men’s ministry leads to the spiritual growth of men and effective discipleship. This purpose is served as men are called to model the servant leadership of Jesus Christ. Our men meet for breakfast, Bible Study and general business. This is a Jesus-focused, relaxed gathering of girls and women of all ages who share breakfast, a devotional and prayer time, "getting to know you" activities, a card ministry and outreach ministries serve to make this sisterhood special. Come and bring your family to gather in fellowship over a breakfast meal. It's free and you never know who you'll meet! This ministry creates warm and cozy wraps representing the love of God and those that give it. We pray a blessing over them before the shawl is given, asking for God’s hand of healing on the recipient. The recipient does not need to be a member of our church, we reach out to all who need to know they are not alone—man, woman, or child. We also make “Chemo Caps” to keep the heads of chemotherapy patients warm. Contact the church office if you know of someone in need of these blessings or if you would like to volunteer for this ministry. One of our Missions: Helping hands during Friday night unloading and Saturday packing is needed and deeply appreciated. We pack at Eagle School Intermediate, unload Friday night at 4:30 pm until 7. Saturday at 9 am we gather for fellowship/refreshments and work on plastic bags. 9:30 am we ask for you to be there so we can gather everyone for instructions; we normally finish by noon. Just a few hours makes a huge difference in many children and families' lives. Join us!! Don't be afraid to reach out. We want to hear from you! Click "Directions" below to find us using Google Maps! Let's talk! Check out our Facebook page.